Could You Wait That Long? 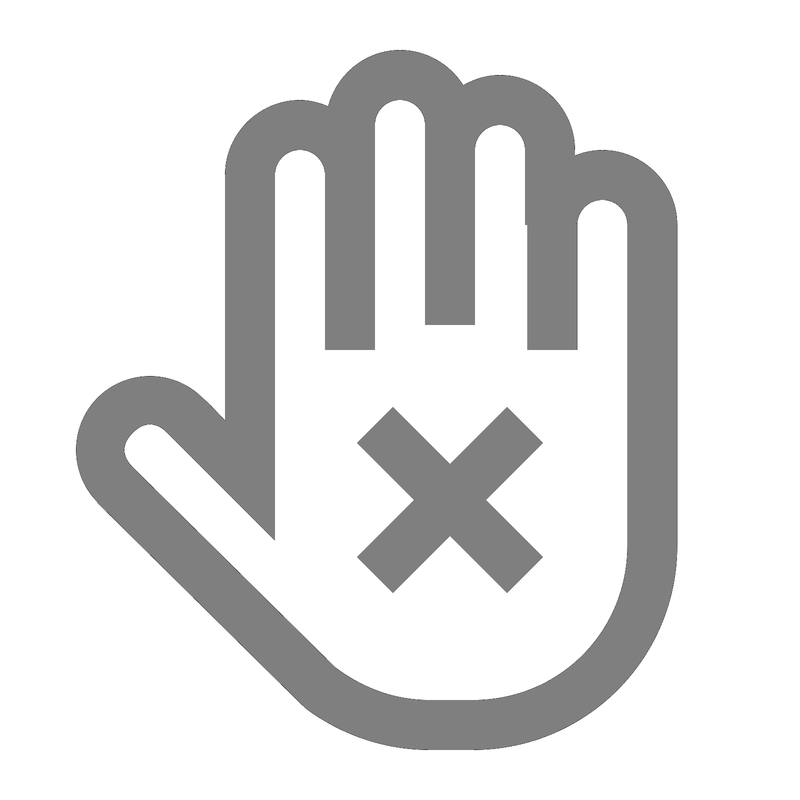 I have no doubt that every human being wants to achieve success in their lives. The depth of that success depends on the person. But, could you imagine if you had to wait 80 odd years to be viewed as a success? I certainly could not. At 80, you would think that you have pretty much lived your life and you couldn't achieve that much more. Especially not a make-up collection with MAC, working on glasses with Eye-Bobs, an advertisement campaign for Coach and having a shoe created for you by Jimmy Choo. Iris Apfel is now 93 years old. Yes, 93. 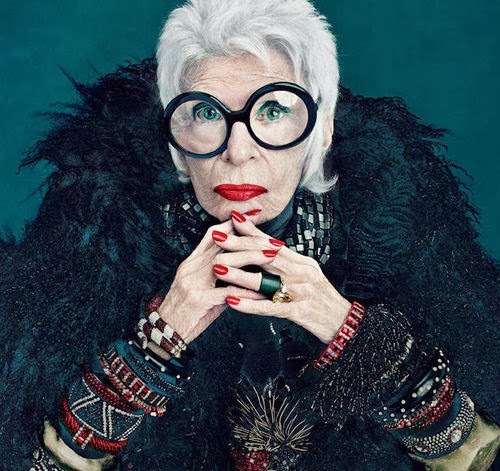 She burst onto our magazines and web pages almost 10 years ago after New York’s Metropolitan Museum of Art held an exhibition on Apfel’s style, which I would call pretty eccentric and eclectic. It’s hard to understand how people are only recognizing this stunning woman now especially when she has been dressing the same way for the past 70 years. 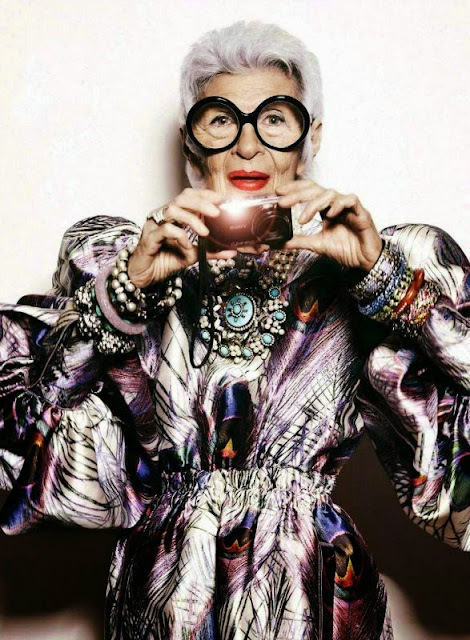 However, that could be down to the fact today's fashion industry doesn't accommodate for stylish people over the age of 65. 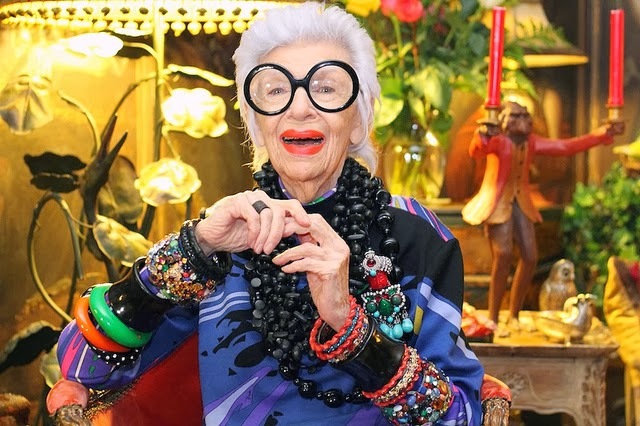 I find it inspiring that she is stealing the best dressed spotlight in New York when most pensioners are kicking back with a cup of tea and the latest TV soaps. 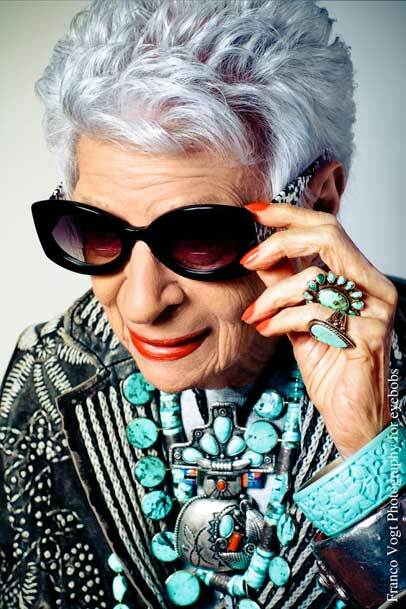 At 93, she is still a professor of fashion at the University of Texas. Seeing those signature black round glasses everyday would make my day. 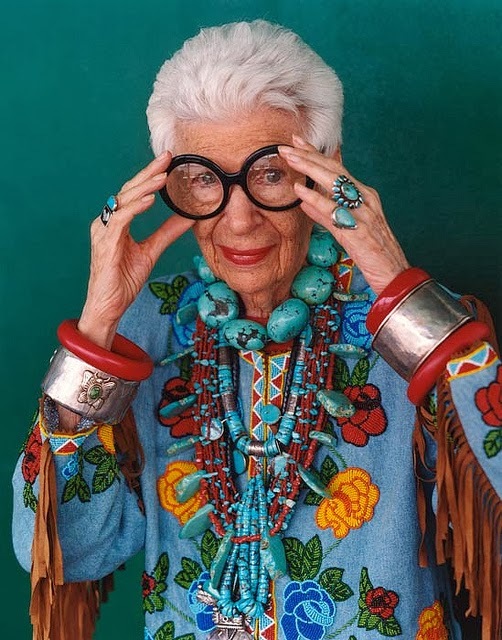 From what I have seen, Iris loves colour and print and let’s not forget the big, bold designs. Her personality is represented in what she wears. I will admit that I am disappointed that she wasn't noticed a long time ago but I am also glad because the fashion industry would have exploited her style and she wouldn't be the prominent style icon that she is today. She is someone that I think a lot of people should try to aspire to be. Not because of her success, but because of her originality.